Hello babes! Stacy here, back again for another Wedding Wednesday! 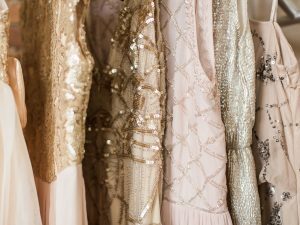 I got a TON of questions during and after our wedding on how to pick the perfect mismatched bridesmaid dresses. 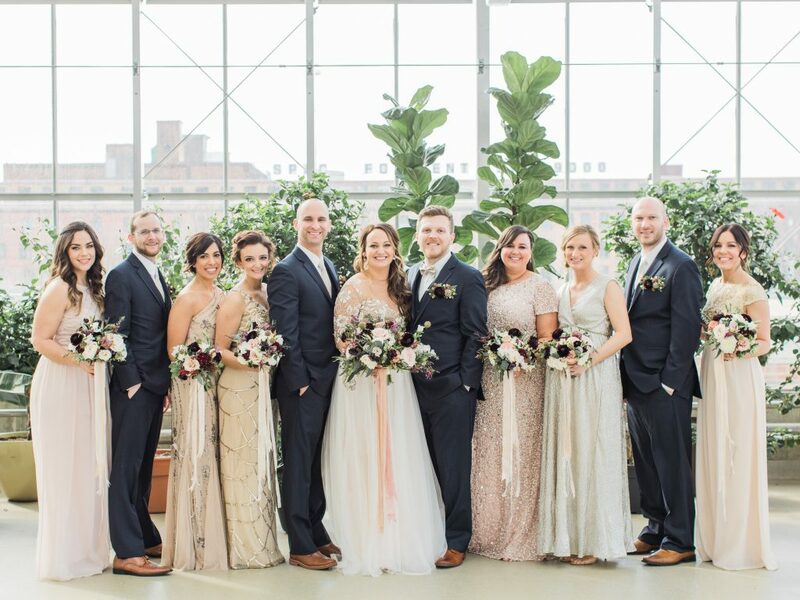 So I figured I’d take this opportunity to give you guys all my tips, tricks and advice for picking the perfect array of mismatched bridesmaid dresses! If you haven’t checked out our wedding story here, I urge you to read it because it will restore your faith in humanity! 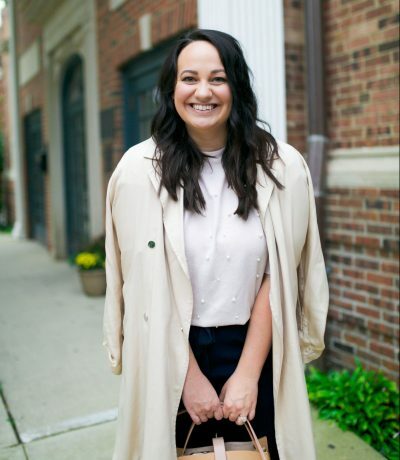 But if you just came here for advice on how to pick mismatched bridesmaid dresses that remain cohesive to your wedding “vision”, then let me just jump right into it for ya! Choose your dress first! Seems rather straight forward, and I’m sure you’re probably thinking it’s not THAT big of a deal. But, I urge you to pick your dress first and foremost in case you end up choosing something completely different than you imagined yourself in. For example, let’s say you’ve pinned every single mermaid gown with one strap and a beaded bodice on Pinterest. So you set out to find mismatched bridesmaid dresses that are a-line in shape, mostly chiffon and you avoid one strap dresses for your girls altogether because you want to be the only one in that style. But then, you actually go to try on wedding dresses and you fall in love with the way the a-line shape fits your body and gives off the romantic vibes you envisioned for your special day. You begin to cry as you realize it has a chiffon skirt and is strapless which is EXACTLY the style you put your bridesmaids in!!! EEK! Haha See what I mean? Pick your dress first. – All one color, different hues (Robbins egg blue, baby blue, teal blue, navy blue). – An assortment of similar colors (baby pink, red, maroon, rose gold). – Different metals (silver, gold, rose gold, platinum, gunmetal). The other route you can go is to choose one color and have the girls all wear a different style. Any bridal store can help you with this; many of the basic chiffon dresses are available in tons of colors and styles. So someone could have strapless, another might have one strap, one might be off the shoulders and another a halter neck style. 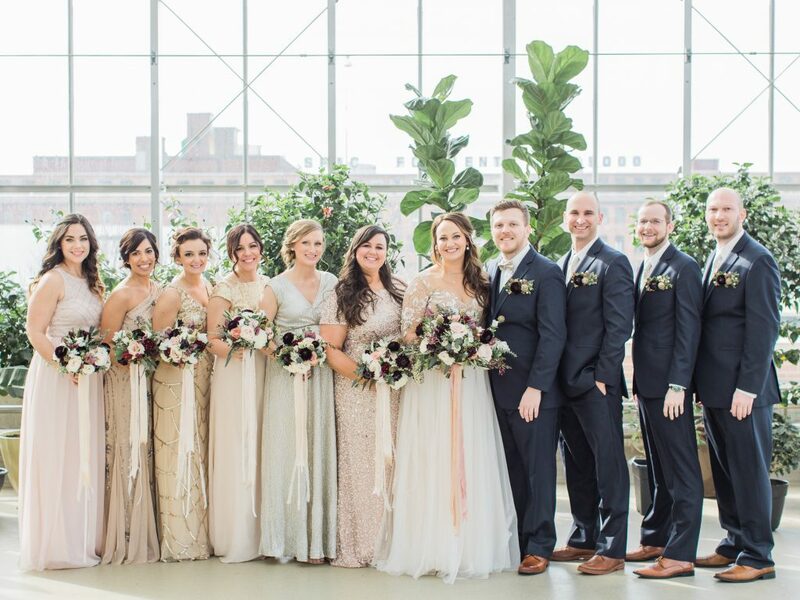 *Pro Tip: Stick with the same length when selecting mismatched bridesmaid dresses. It helps with creating an overall cohesiveness. Once you’ve decided on the color palette save examples on your phone to text or email the girls so they have them. Nail down any other rules you want to follow when selecting the mismatched dresses. This can be anything from “I don’t want anyone wearing lace because I will be adorned with head to toe delicate vintage lace” to “I want everyone to have some element of beading” (which is what I did) to “I want to add a black waist sash to every dress” etc. Be honest with yourself (and your girls) and if you don’t want someone in a plunging neckline, sleeves, or a cocktail dress then make sure to communicate that upfront. You can either go by yourself, with some of your bridal party, or everyone and their mother to pick out dresses. 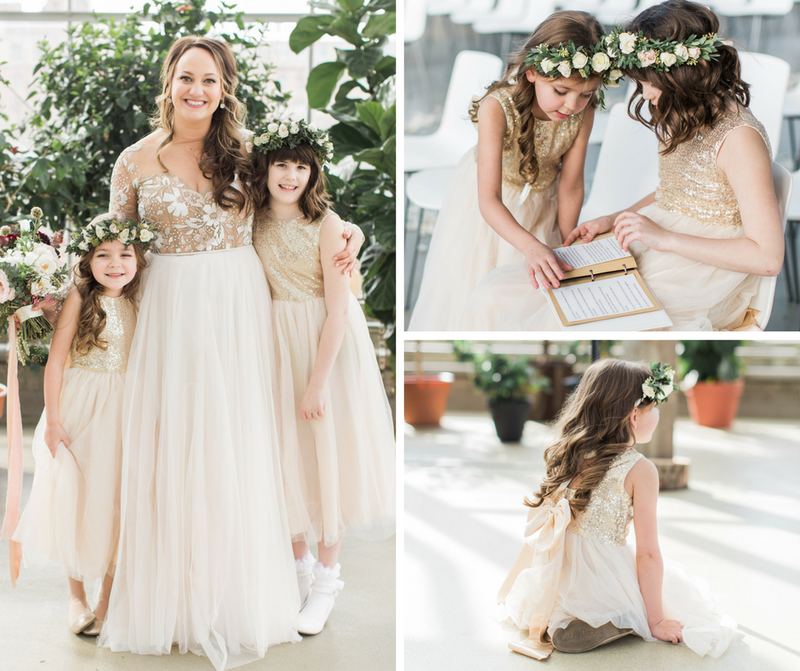 Or you can give your girls the very specific guidelines you drew up in the last step and let them run free into the world of retail and online shopping to choose their own perfect mismatched bridesmaid dresses! We chose the latter, frankly because they only had a month to pick them out (more on that here), but also because it allowed them to find a dress they actually liked within their own personal budget. We started a group text message, and I told them all it was “first come first served”, so that if two girls liked the same dress, whoever got it first and told the group got to wear it. This step is obviously easier in person, or maybe harder if you’re afraid to tell your friends you don’t like something to their faces…haha but it is a MUST when choosing mismatched dresses. Please don’t be rude (no Bridezillas allowed), but be honest if a dress someone tries on doesn’t fit your vision! 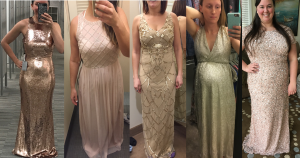 If you are letting your girls pick their own dresses, a really awesome way to over-communicate and keep everyone dress-accountable is to create a group text like I did with all your bridesmaids. This worked great for us, especially since I spent most of my time in Michigan, three girls lived in Chicago, one in Iowa and one in Texas! All the girls texted pictures from the fitting room or of dresses they ordered online. It gave everyone the chance to see each other’s so that no one ended up with the same dress and it gave me the opportunity to virtually “yay” or “nay” their dress choices. *Pro Tip: I saved all of the pictures of my girls’ trying on their dresses and then spliced them together to see how they looked. I even spliced in a picture of my own dress to make sure we would look cohesive even though they were all mismatched. This is solely based on the fact that I believe they have more options! You can find TONS obviously at bridal stores, but also online. The best part is that if you can’t find exactly what you’re looking for, you can get custom made dresses on Etsy and they are ADORABLE. Much cheaper than custom made bridesmaids or wedding dresses! I bought my flower girls their dresses off of Amazon. (If you know me you know I am slightly addicted to Amazon and am a long time Prime user haha). I love how they looked with all of us and I was quite surprised by the quality! 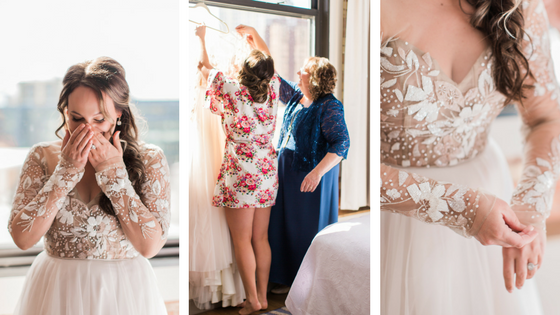 So there you have it, my tips on how to pick the perfect mismatched bridesmaid dresses! Leave a comment below if you have any additional advice for brides-to-be! Or leave me a link of your mismatched bridesmaids dresses- I’d love to see! I really like the mismatch trend! For a shoot for Metro Detroit Weddings, we did bridesmaid dresses and when we shot all 3 models together, we had different shades of the same colour and I loved how they looked together. I actually cannot wait to see the final product when the magazine comes out. Stacy , the mismatch is always the best! It looks stunning in puctures. Im really liking your pro tips and its fabulous, i personally like the baby blue for bridesmaids but hey who’s to judge. For the bride to be , remember to breathe , be present in the moment dont fret much. Love all these choices. What a great guide! Beautiful photos! 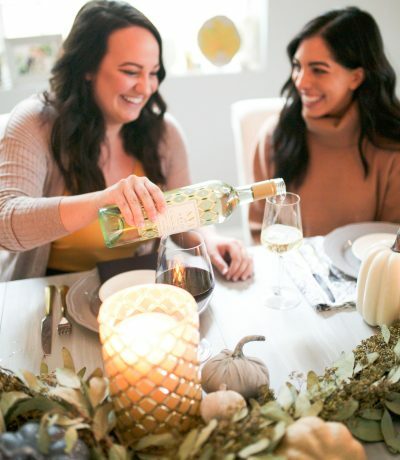 This article is great for brides! It can be so overwhelming trying to pick something that will suit every bridesmaid. You have made it seem so easy! Love this!! Mismatched dresses are so neat as they reflect your bridesmaids’ personality which is awesome, and accommodates to all body types. I love the dresses here, and I love that they’re all the same length to still have an element of cohesiveness. What a helpful post! I love the idea of getting your dress first and color palette. Also this photos are so gorgeous! I love the idea of different dresses for bridesmaids. It gives everyone a chance to choose a dress they are comfortable wearing. You did an amazing job! ALL of these dresses blend SO well! Your dress was stunning! Your girls also looked amazing. I love the dress variety. these are all perfect together, what a beautiful array! These are all absolutely stunning!! 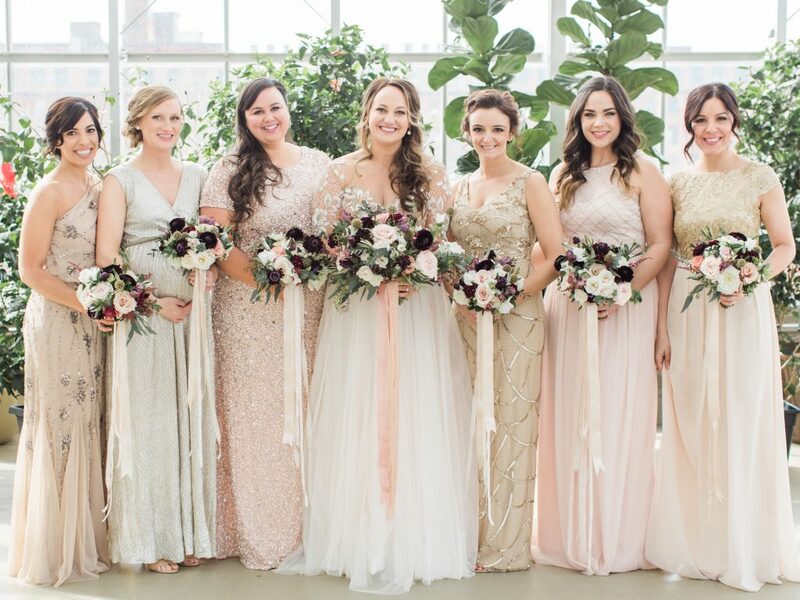 All of these dresses are so gorgeous – I wish I had done mismatched gowns for our wedding! Those dresses are all so gorgeous! 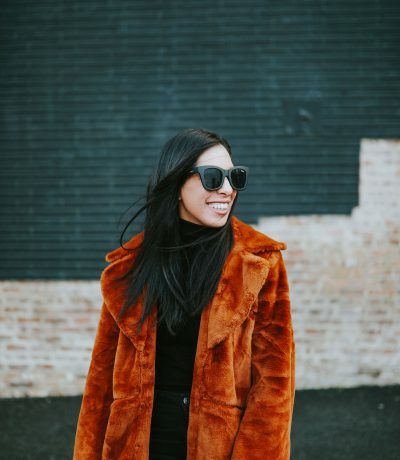 Love the breading, color, and silhouettes, so literally everything about it! Oh my gosh these came out SO well!! Everyone looks amazing in these pictures. I’m not sure if I’d want to do this trend in my own wedding someday- but I think when it’s done right it’s great! 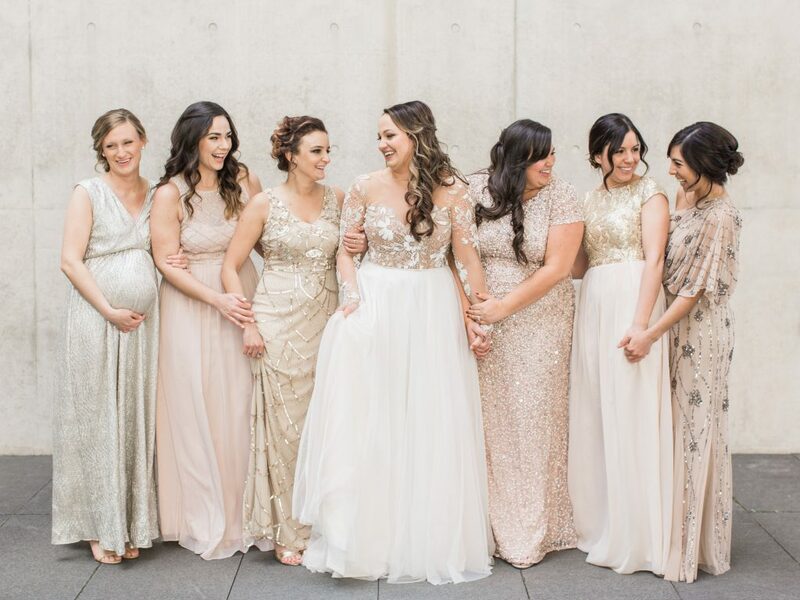 You may have just convinced me to go with mix matched bridesmaid dresses! 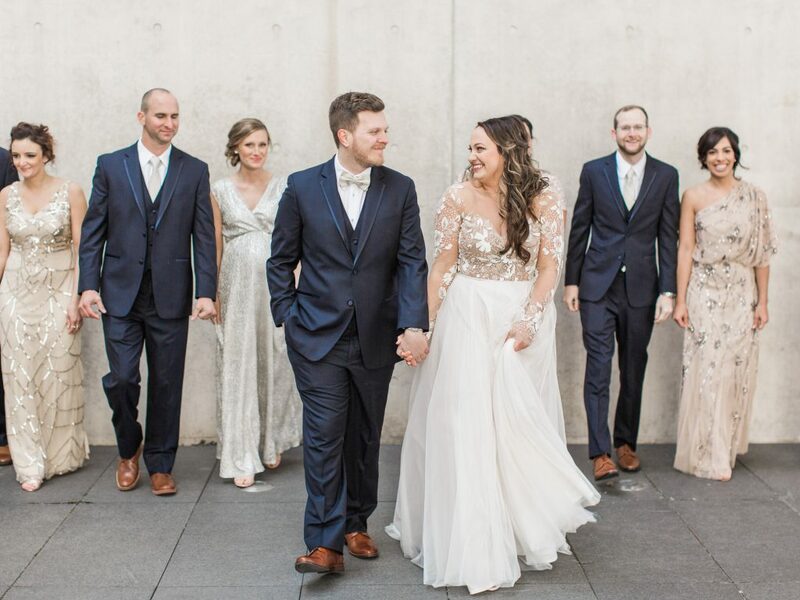 I just love how all of your dresses for your bridal party came together so nicely. Y’all look so beautiful! 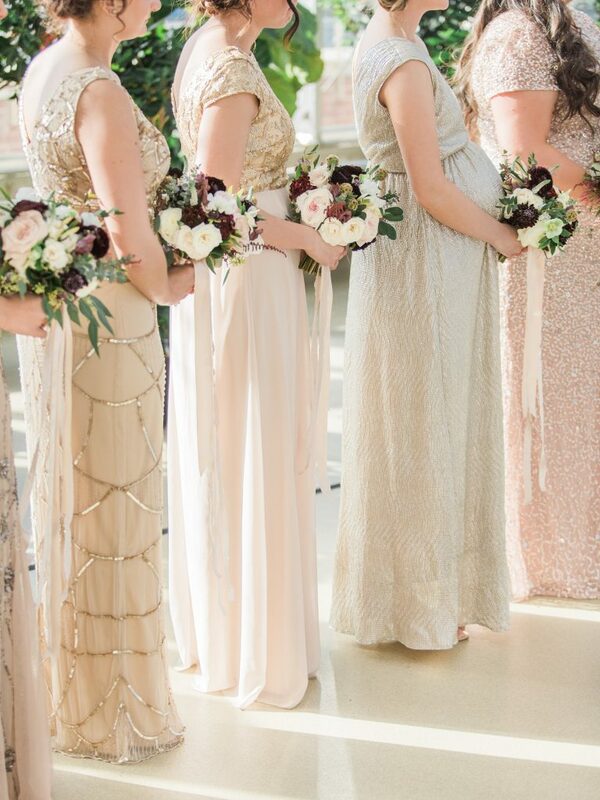 I love neutral tones for bridesmaids dresses – so beautiful and timeless! I love the mismatch style but type the same color scheme. Absolutely beautiful!!!! I love a good mis-match – I did that at my wedding too. 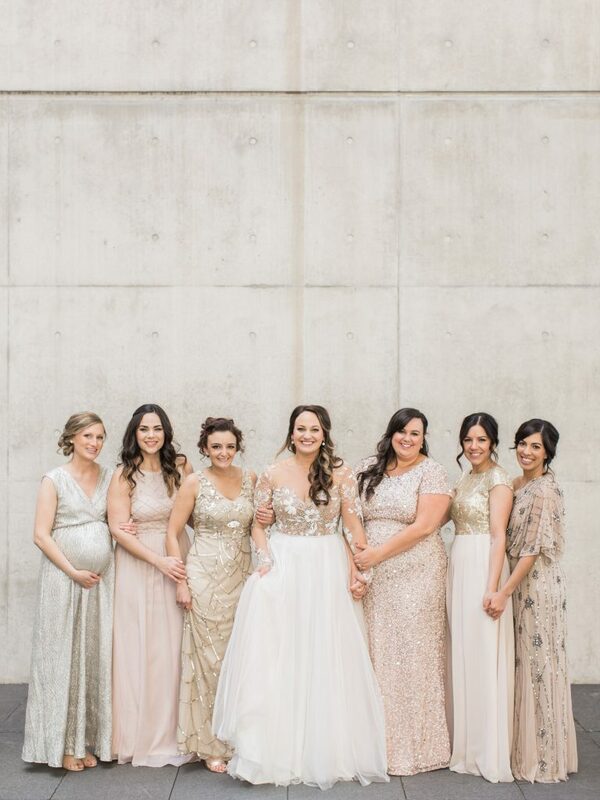 I love that the bridal party can show their personality – and a good cohesive unit can only make you (the bride) shine even more! Great job! 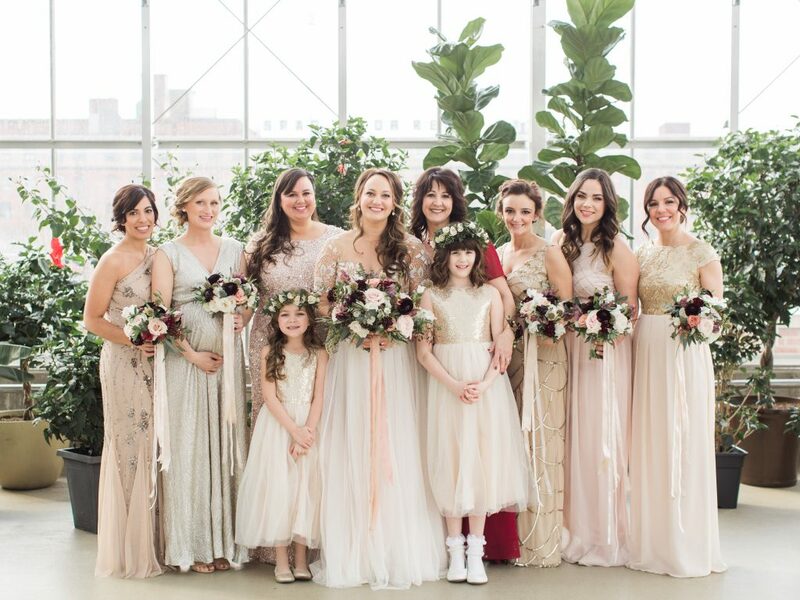 I am loving this trend for bridesmaids! So pretty! These are really great tips. Those dresses are gorgeous. I love the look of mismatched dresses! These are stunning! I love this movement! Such a beautiful way to show individuality! LOVING THESE DRESSES! SO PRETTY! What a gorgeous wedding party. I love eery single dress and style.